When looking into treatment, you will likely come across many statements about taking a “holistic approach”, using “holistic methods” or “integrative treatment” which uses “holistic healing modalities”. The word “holistic” often gets a bad reputation because of the way holistic medicine, as a whole, is publicly criticised by mainstream science. By definition, the word holistic means “characterized by comprehension of the parts of something as intimately interconnected and explicable only by reference to the whole”. Mental illness is not something which only occurs in the mind. All forms of mental illness, from mood disorders to personality disorders, substance use disorders to compulsive behavior disorders, affect the mind and the body. At the least, treatment has evolved to approach mental and physical wellness. Increasingly, matters of “spiritual” wellness, which has also gained controversy, have become important. The world of clinical treatment for drug and alcohol addiction, for example, is relatively new. With a few decades of experience and a growing need to provide effective treatment, providers have come to realize that spiritual growth of various kinds is necessary for long term recovery. Spirituality doesn’t have to mean religious discipline of any kind. Spirituality refers to anything beyond the material world. Intangible principles like meaning, compassion, empathy, humility, surrender, and even love, are spiritual. Holistic medicine and healing in recovery approaches treatment with a whole-person perspective, creating a crucial message which emphasizes: you are more than your condition. Is Holistic Treatment Right For Me? Every component of treatment which goes into a treatment program has been carefully considered by a team of experienced and licensed professionals. There is no blanket “cure” for mental health, but a series of evidence-based practices which have shown to be effective for thousands of people with varying symptoms and diagnoses. 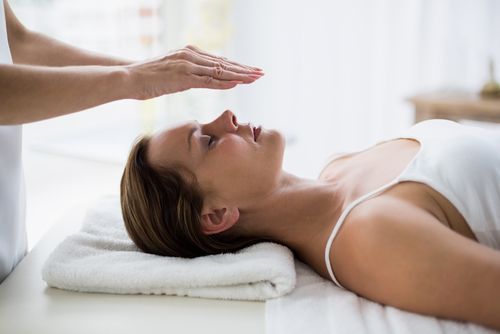 Holistic treatment is meant to help the mind and the body heal while supporting a spiritual journey through recovery. If you aren’t sure holistic treatment is for you, Hired Power can help you find the treatment program which best fits your needs. Our recovery services are offered by a dynamic team of recovery professionals who work to empower your recovery experience one step at a time. For information, call us today at 800-910-9299.